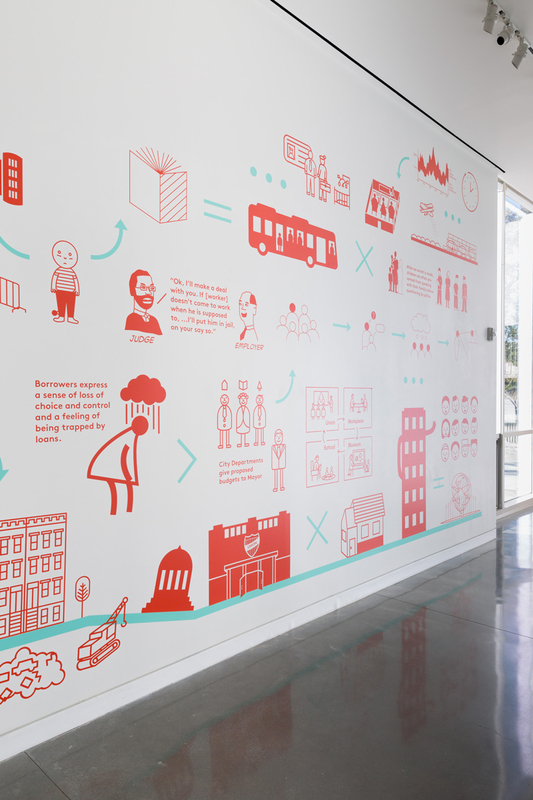 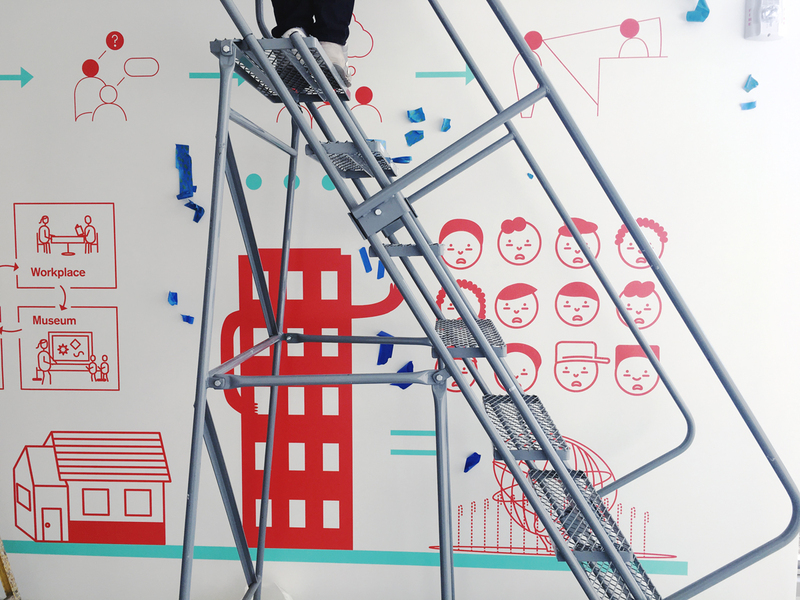 A 40-foot mural remixing a decade of client work. 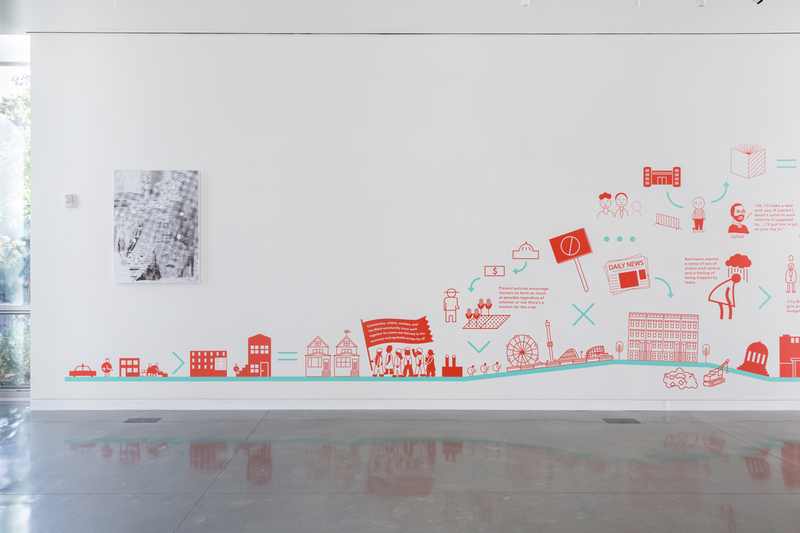 Tiffanie Tran and I made a vinyl mural of images culled from our decade of collaboration on graphics for social justice groups on themes ranging from payday loans, mass incarceration, the school-to-prison pipeline, the farm bill, tort law, non-citied rights, employment law, and wage theft. 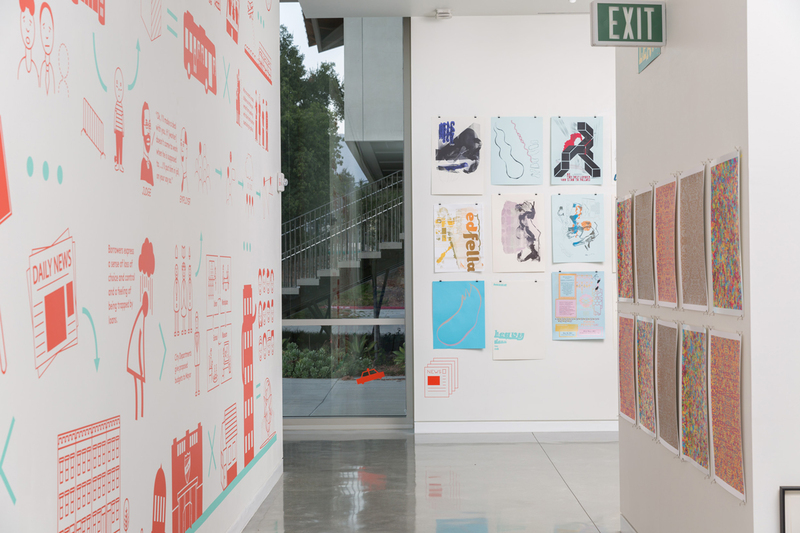 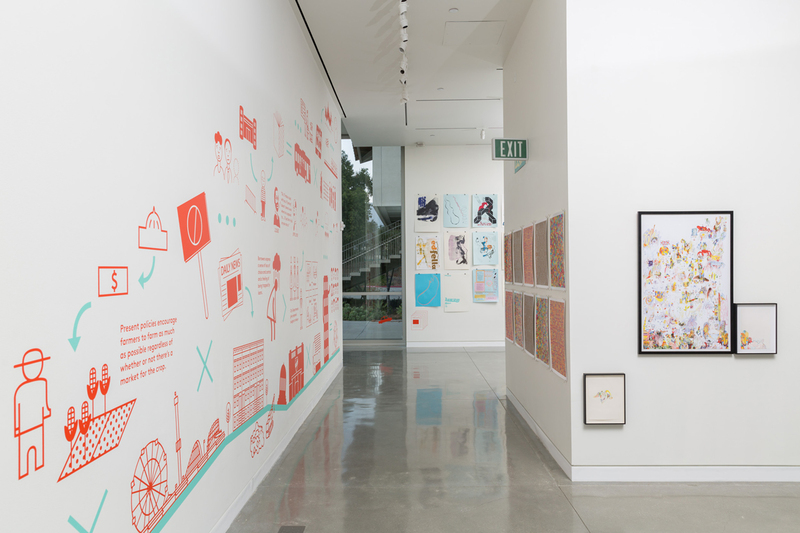 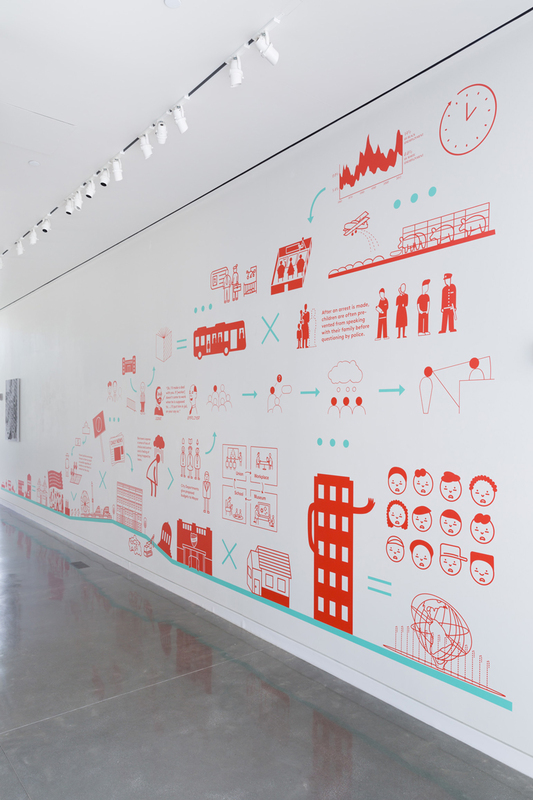 The project was commissioned and exhibited by Pomona College's Chan Gallery for a group show "Friendly Layers: Mixed Advice on Graphic Design by Tiffanie Allen, Mark Woo, Rosten Morgan, Paul Swanlund, Gail Tran"